This triple storey pristine, private full title home has beautiful views of the sun rise and the surrounding hill and offers three bedrooms with laminated floors and built in cupboards (one leads onto a balcony) and two modern bathrooms plus a guest toilet. Well appointed kitchen with gas hob. Three separate tiled reception rooms. One with fireplace and all leading onto exclusive covered patio with amazing all around views, wooden deck and pool. Big downstairs studio, wine cellar, entrance hall and lift. Fitted blinds to remain and fiber ready. This unique architect designed home is modern and interesting. 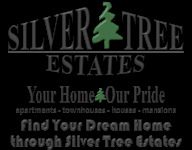 The complex is close to all amenities and schools.